Hall-Edwards v. Ford Opening: Bruce Kaster’s trial opening used at the fourth trial of Hall-Edwards v. Ford Motor Company involving a 1996 Ford Explorer rollover. This trial resulted in a Plaintiff’s verdict of $19 million dollars. Hall-Edwards v. Ford Rebuttal: Bruce Kaster’s trial rebuttal used at the fourth trial of Hall-Edwards v. Ford Motor Company involving a 1996 Ford Explorer rollover. This trial resulted in a Plaintiff’s verdict of $19 million dollars. Bradley Public Redacted Documents: Various Cooper Tire & Rubber Co Documents that are now in the public record. Middleton v. Cooper: Tire Order lists numerous times Cooper Tire & Rubber Co disobeys the Court’s Orders. Mickey Gilbert’s Rollover Testing: Analysis of Steer Input Timing. 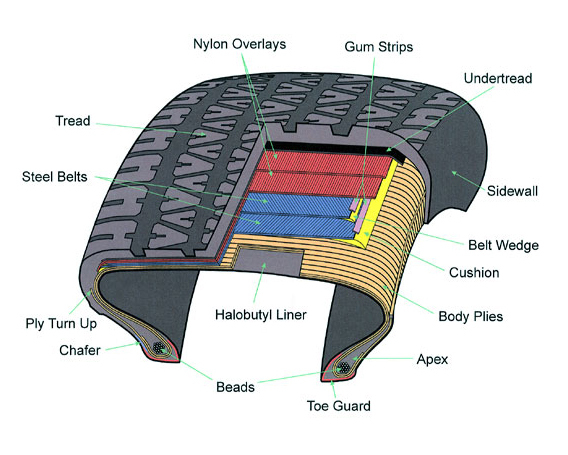 Don Lee Design Elements of Steel-Belted Radial Tires to Improve Belt Durability. The problem with tread belt separation of Bridgestone/Firestone tires is well explained in the sworn statement of Dennis Carlson. Use this tire diagram for reference.